Aficionados of French history and of historic figures and the French Revolution in particular, will welcome this intriguing look at one of the most famous, or infamous, figures of that time: Marie-Antoinette. 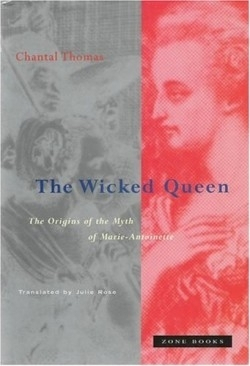 Director of Research at the Centre National de la Recherche Scientifique and author of a previous book on the Marquis de Sade as well as co-author of one on Don Juan, Thomas is well-placed to offer her take on the literature of Marie-Antoinette’s day. This survey primarily examines the pamphlet literature, which was almost wholly sympathetic to those supporting the Revolution and distributed to stir up the same. From this biased literature has emerged a portrait believed not only during the queen’s own time, but that has, according to Thomas, lingered to this day. Thomas makes a good argument against the total validity of the common picture of the queen as a debauched and even evil aristocrat by highlighting the one-sided vulgarity presented by this press. Alongside quotes from this popular literature, Thomas also details some of the attitudes of Marie-Antoinette herself, such as her eventually fatal arrogance and indifference to public perceptions gained from correspondence with people like her mother, Maria Theresa of Austria, that contributed to her increasing unpopularity with the public of her time. Thomas also provides insight and details into some of the major incidents that brought the queen her notoriety (both then and now) and eventually lead to her, and others’, downfall and beheading. And unfortuntely, Marie-Antoinette just happened to be in France during a time where upheaval and overall chaos were the order of the day. What emerges is a sympathetic examination of a woman made queen at a young age in a country that was traditionally an enemy of her nation of birth, Austria.